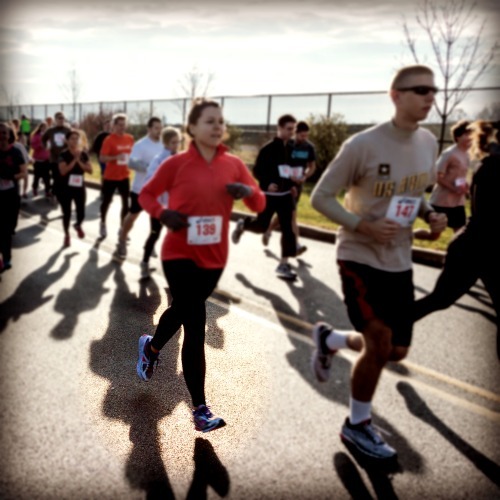 Have you wanted to run a 5K, but didn’t know where to begin? Or has it been a while since you last donned your Asics for a jog, and you want to get back into it? Bridget McCarthy, an MSS parent and organizer of the annual MSS Fall 5K Run/Walk, offers this advice for beginners and those out of practice. Just in time for the 5K on November 8th! The best way to begin preparing for a 5K is to start with run/walk intervals. It is tempting to just go out and start running when you’ve decided on a 5K. You’re excited and it’s a beautiful fall day, and you may even feel good the first time out. But you’ll soon realize that running doesn’t feel so good. The best plan to feel stronger, run longer, and stay injury-free is to add short bouts of slow running to your regular walks and gradually increase the amount of time you spend running. Start with 1 minute of running to 4 minutes of walking. (i.e. run for one full minute, walk for four, then run again for one minute, followed by four minutes of walking, and so on.) Slowly increase the time spent running over the next couple weeks until you are running/walking about 50/50. If you continue to be injury-free (sore muscles are to be expected, but there should be no real pain anywhere) continue to do more running than walking. Don’t be discouraged if, after a while, you are still including walking intervals in your runs. Walking is always a good way to take a break during a running workout, even during a race. The important thing to remember is that you’re out there doing it. That’s half the race right there! To register online for the MSS Fall 5K Run/Walk, which includes a 100m Kid Dash, visit bit.ly/MSS5K2014. A small processing fee applies. For more information or to register via mail, visit our website. This entry was posted in Events, fun, HSA and tagged 5K, 5k tips, beginning runner, Bridget McCarthy, fall 5k, HSA, MSS, MSS fall fun run, prepare for 5k, running tips, training for 5k. Bookmark the permalink.